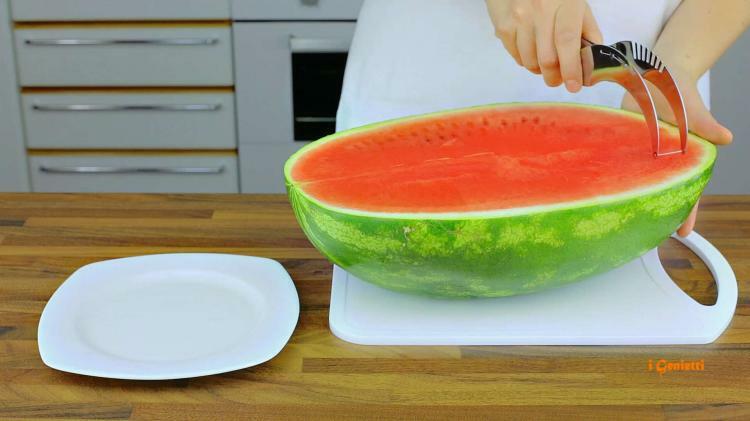 How many times have you taken a finger off or taken a few inches of skin off your hand while cutting up your watermelon? 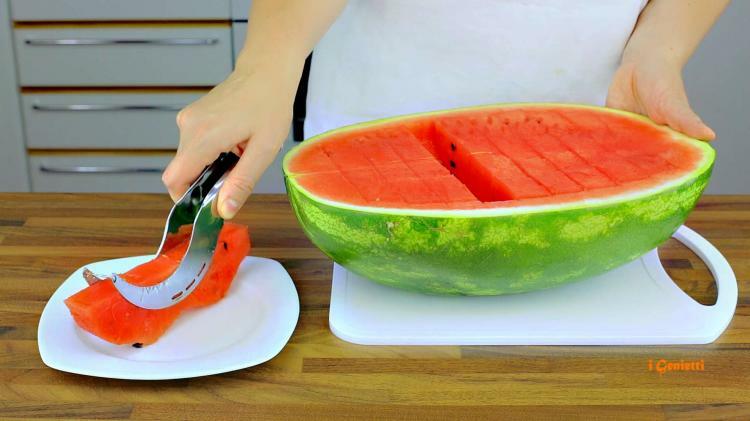 For me it's pretty much every-time. 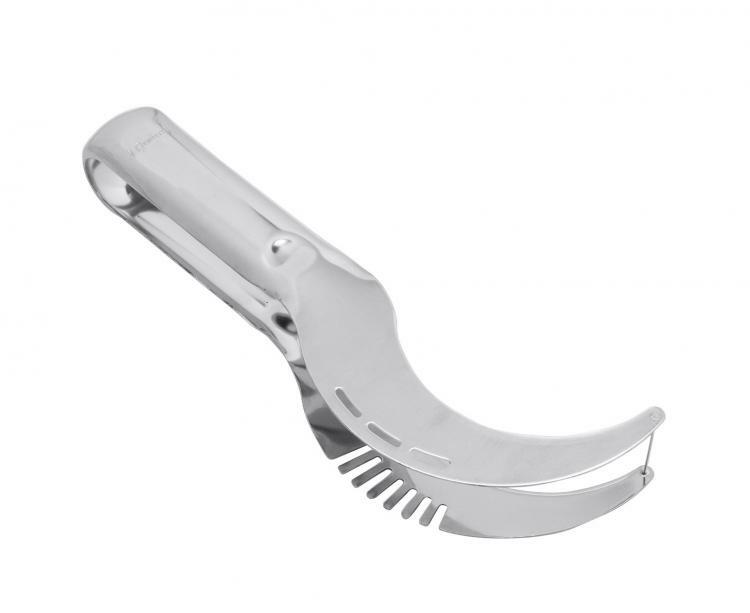 At this point I have about 2 fingers left and one of my hands is widdled down to a sharp point. 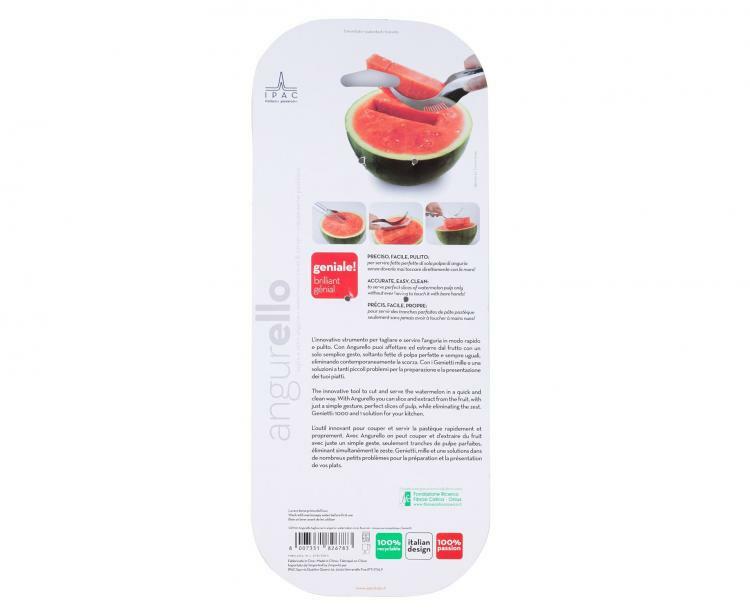 This watermelon gadget, made by iGenietti, will not only help you cut up perfect slices of watermelon every-time, but it will also help you easily serve the watermelon onto a plate. 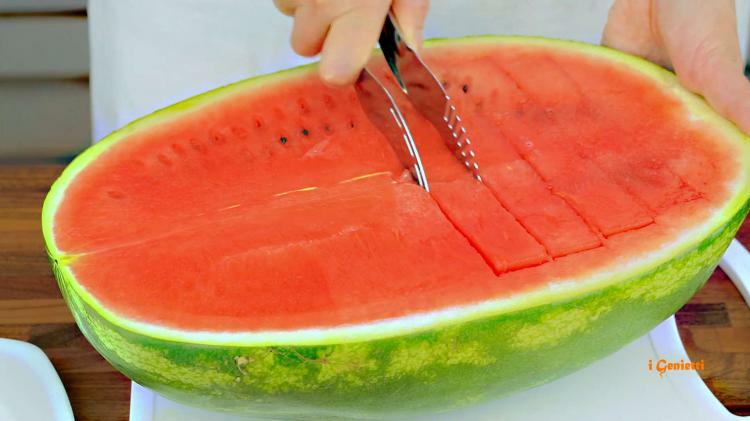 First just cut the watermelon in half the long way, then simply drag the end of the device through the length of the watermelon while pushing it to the bottom edge of the fruit. 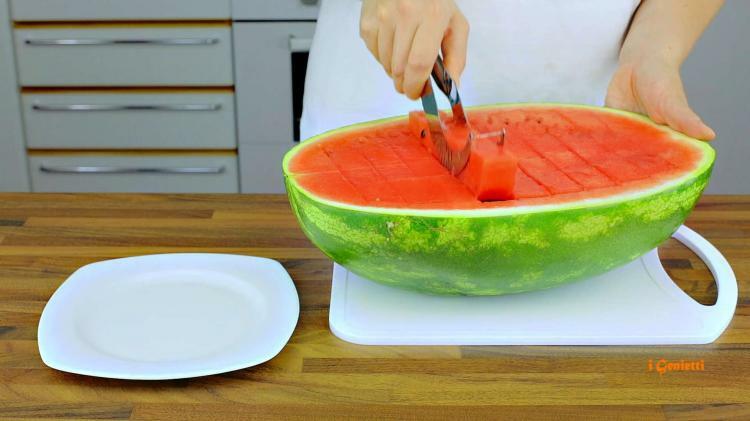 Doing this over and over again right next to each other will create perfectly sized pieces for everyone to eat. 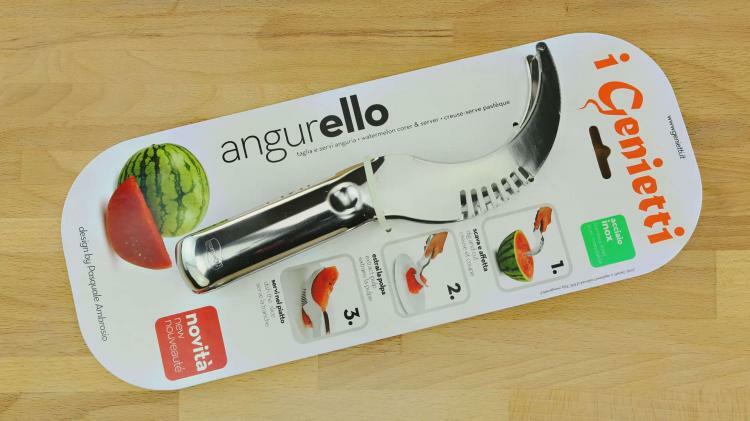 Once done slicing pieces up, simply turn the device around, squeeze it around a slice, and drop it onto your plate to begin consumption. 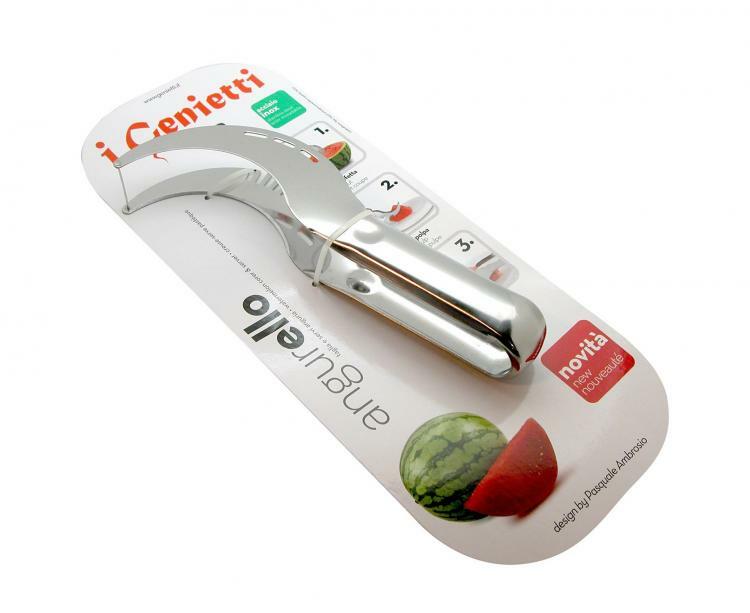 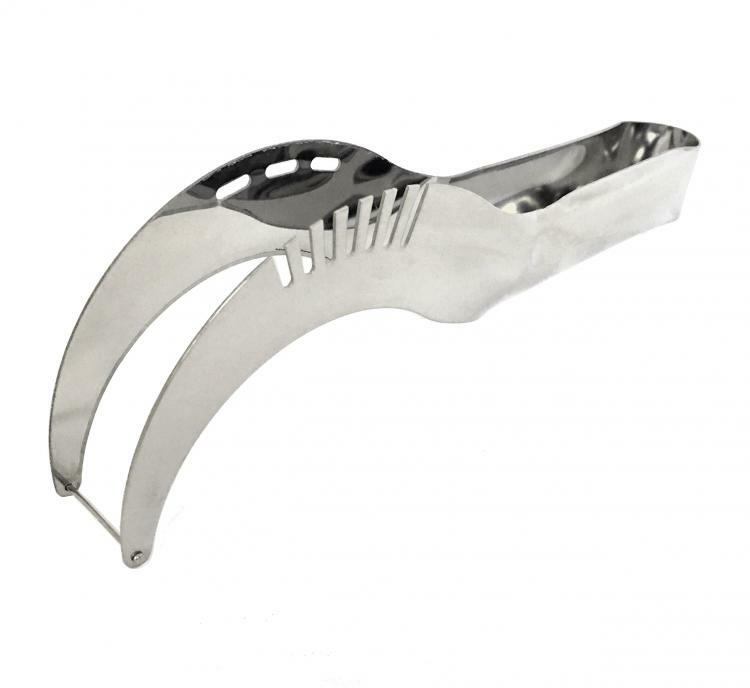 The iGenietti watermelon slicer and corer is made from 18/10 stainless steel that's imported from Italy, is completely dishwasher safe, and is the perfect addition to any party or backyard BBQ. 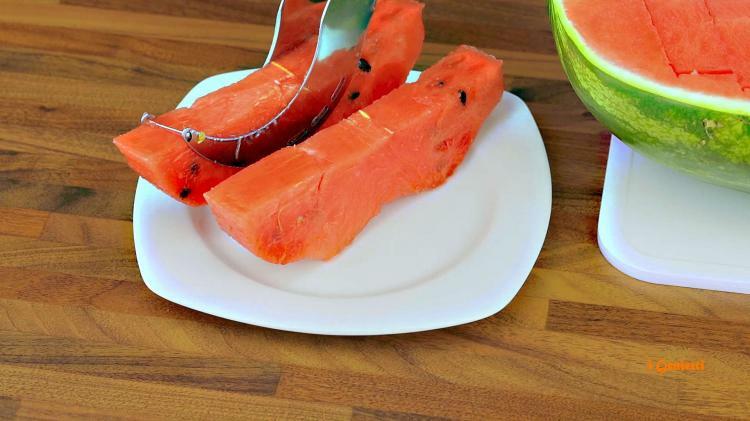 Check out the watermelon slicer and server in action via the video below.